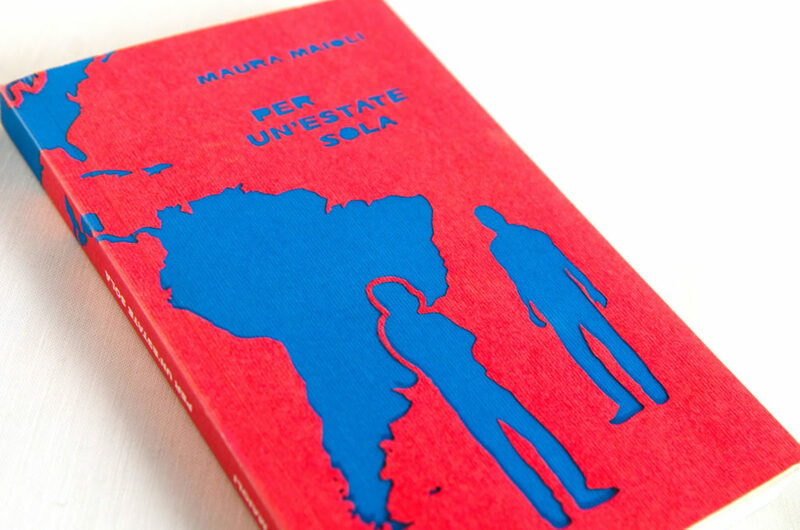 Maura Maioli, an Italian writer needed a cover book for her latest narrative book. 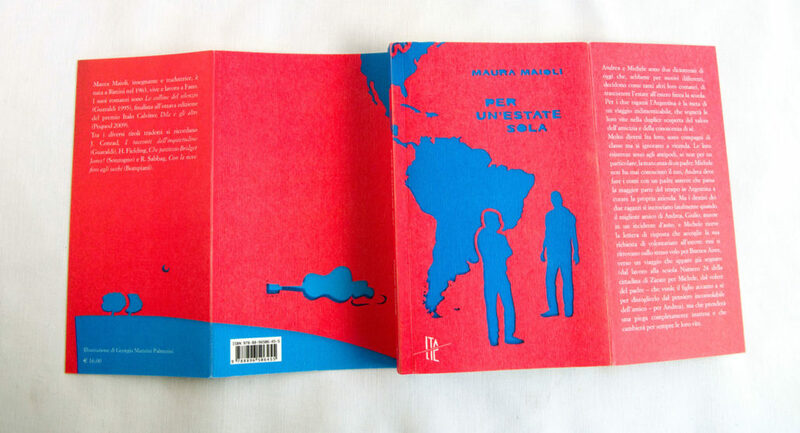 The story is about two teenagers who spent time together in a unusual holiday in Argentina. 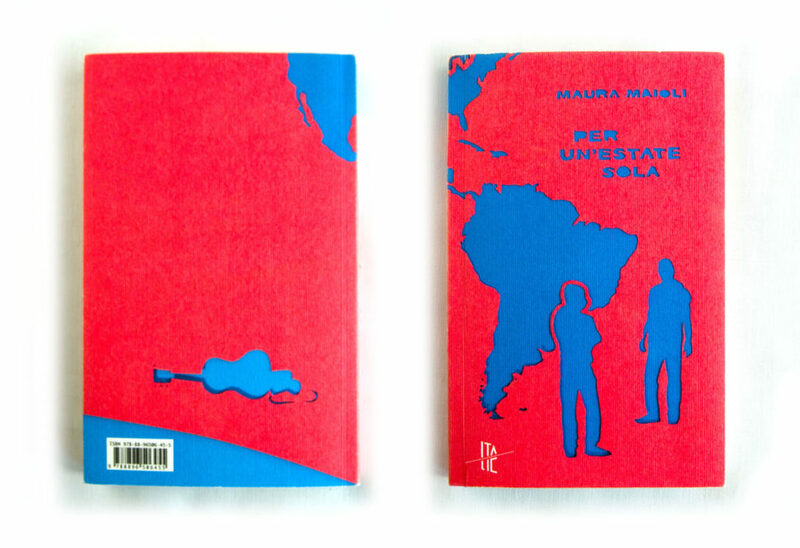 I decided to create an illustration cutting a red card paper to create the shape of the Argentina and the two main protagonist, in the back two objects (a camera and a guitar) represent the passion of the two boys. A cyano cardboard paper take out the image from the first layer. Shapes, colors, letters and shadows were captured by a photo-camera.